Today marks the start of a campaign that the Wales Co-operative Centre is running for Co-operatives Fortnight (21st June – 5th July) that shows the strength and diversity of co-operative businesses in Wales. Through a series of blog posts, the ‘Modern Pioneers’ campaign highlights the sizes and types of co-operatives in Wales and the sectors in which they operate. 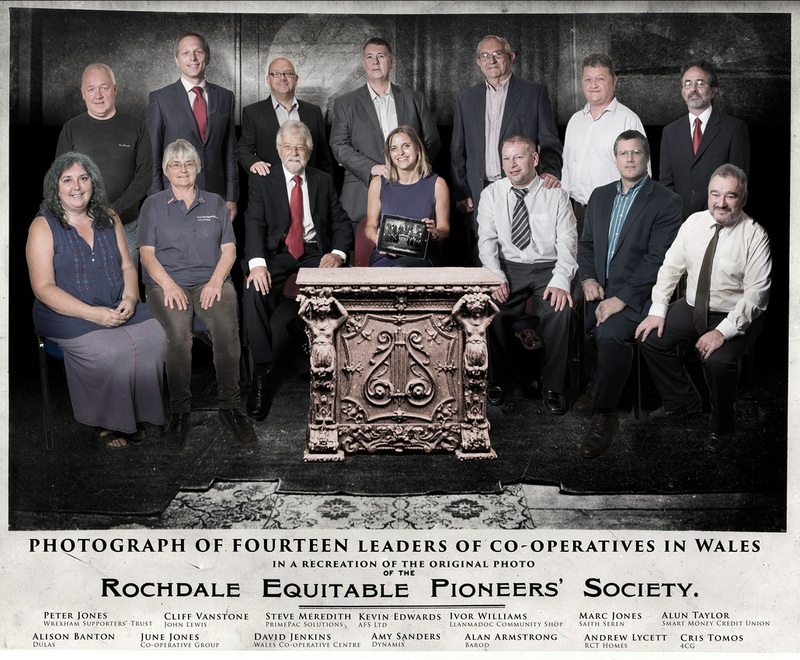 It’s inspired by the Rochdale Pioneers, who are among the forefathers of the co-operative movement. We’ve worked with 14 people, who are at the heart of their own businesses, to explain what it’s like to be a part of the co-operative movement in Wales, why they got involved in the first place and how they see the role of co-operatives in the Welsh economy. We’ve also attempted to replicate the famous, original image of the Rochdale Pioneers, through a series of special photo-shoots around Wales, with the magical, finishing touches made on Photoshop. 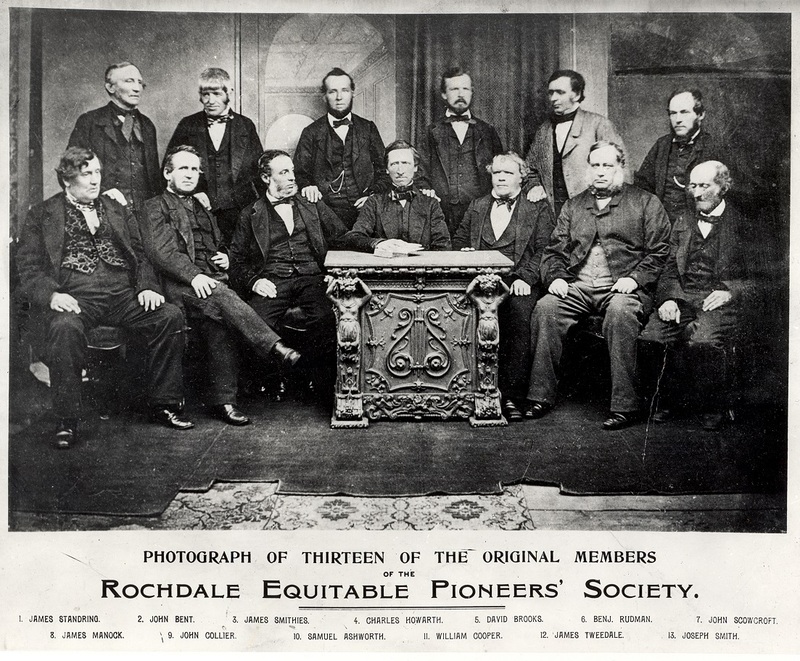 The Rochdale Society of Equitable Pioneers was a group of 28 people, around half of whom were weavers, that was formed in 1844. As the mechanisation of the Industrial Revolution was forcing more and more skilled workers into poverty, these tradesmen decided to band together to open their own store, selling food items they could not otherwise afford. With lessons from prior failed attempts at co-operation in mind, they designed the now famous Rochdale Principles, and over a period of four months they struggled to pool one £1 per person for a total of 28 pounds of capital. On 21 December 1844, they opened their store with a very meagre selection of butter, sugar, flour, oatmeal and a few candles. Within three months, they expanded their selection to include tea and tobacco, and they were soon known for providing high quality, unadulterated goods. Ten years later, the British co-operative movement had grown to nearly 1,000 co-operatives. The rest, as they say, is history. The Rochdale Pioneers are often talked about in the same breath as Robert Owen, as being the forefathers of the co-operative movement. We hope our Modern Pioneers campaign helps to increase awareness of the roots of co-operative development, while showing what today’s co-operatives in Wales are achieving. We’d just like to thank all of our Modern Pioneers who participated, as well as those who hosted the photo-shoots, including Saith Seren, the Robert Owen Museum, Dynamix, 4CG and the John Lewis store in Cardiff. Thanks also to Mike Dean of Eye Imagery Photography for working with us on this project. We also welcome the proposals for co-operation among operators to aid short supply chains, improve business competitiveness and grow local markets. 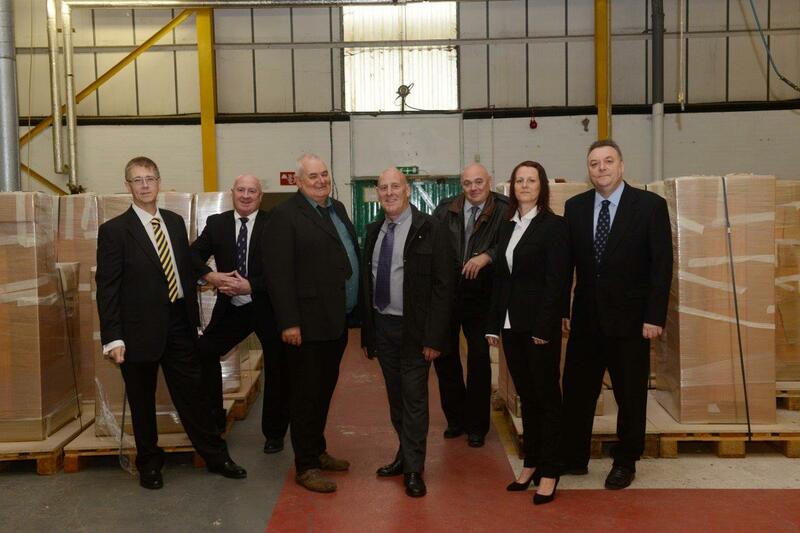 At the Wales Co-operative Centre, we support businesses to form co-operative consortia. This approach has particular advantages for rural businesses that may not otherwise be able to benefit from economies of scale or population density in the same way as urban businesses can. It allows businesses to work together to bid for bigger contracts in addition to having cost savings through marketing efficiencies and sharing IT and infrastructure costs. There are good examples of where this is already happening with food and drink producers in Wales. Calon Wen brings together Welsh organic dairy farmers to supply organic milk products throughout Wales and the UK. The co-operative was born out of a desire to ensure that as much Welsh organic milk is processed in Wales as possible. Since its formation, it has developed innovative partnerships with suppliers and customers. It has a close supplier relationship with Rachel’s Dairy, and supplies products to Tesco, Morrisons, Sainsbury and Waitrose as well as other key customers across the UK. With the new financial year barely a week old, Derek Walker, our Chief Executive, has taken the opportunity to look back on the last twelve months at the Wales Co-operative Centre…. I was recently looking through the posts on our blog site from the last twelve months. I was struck by the realisation that we have covered an awful lot of ground as an organisation. In addition, the scale of our output is matched by the quality and impact of our work. It’s a healthy thing to look back at what has gone before, as you can learn from experience and take confidence from what has gone well. Another thing that occurred to me was the rich diversity of our work. Since the start of the last financial year, some new clients have emerged. To highlight just a few – AFS in Swansea, where former Remploy staff came together to form a worker co-operative that has already proven successful. The Cambrian Village Trust social enterprise, in Clydach Vale, was supported to open a new, world class, all-weather football pitch. PS Services, a social business run by mental health charity Gofal, won the ‘One to Watch’ category at the UK Social Enterprise Awards. Many other businesses that we’ve supported have gone from strength to strength, showing that co-operatives and social enterprises are models for growth, as well as sustainability. Elsewhere in the Centre, we’ve received additional funding from Welsh Government and the European Regional Development Fund to expand the area covered by Communities 2.0, to now help people in the most deprived parts of Cardiff, Newport, Vale of Glamorgan and Monmouthshire make the most of computers and the Internet. Communities 2.0 has also seen a number of county-wide initiatives launch in the last year, heavily based on strong partnership work – bringing the people and organisations together than can make a real difference. Our co-operative housing project has been extended for another two years. More groups around Wales are talking to us, and our partners, about the potential to develop co-operative housing schemes in their community, giving people more direct control over their living arrangements. The year’s watershed moment came with the publication of the Welsh Co-operative and Mutuals Commission report. 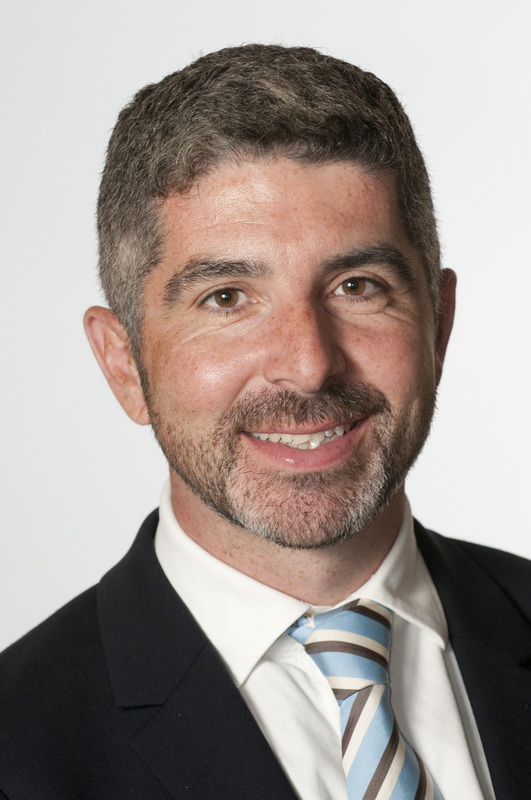 Led by Professor Andrew Davies, the Commission has concluded that “conventional approaches to economic growth and development are not sufficient alone to achieve the improvement in the social and economic wellbeing of people in Wales”, adding “co-operatives and mutuals offer significant economic, social and environmental benefits compared with ordinary businesses. Their development must be central to transforming Wales’ economic fortunes”. These words come as a clarion call to those involved in the co-operatives and mutuals sector, as well as those on the fringes who have yet to realise the full potential of co-operative approaches to economic development. The report’s recommendations are currently being discussed at a series of consultation events and it will be interesting to hear how others think they should be taken forward. The report’s recommendations have the Centre’s full support. Today the Wales Co-operative Centre supported the WCVA in hosting a mini-conference for the third sector on How to Win Tenders. Here, Rhian Edwards, Project Manager for Business Succession and Consortia, looks at the importance of public sector contracts for the Third Sector. “The public sector in Wales spends around £4.3bn each year through procurement, and winning business with the public sector is crucial for the financial sustainability of many third sector organisations in Wales. Many actually have long standing relationships with these public sector bodies, and have been delivering valued services under grant arrangements, service level agreements, and spot contracts for many years. “The shift now however to a more competitive tendering environment has been a hard transition for many of these organisations. Contracts are being wrapped up into bigger, more complex lots, and the move towards move collaborative and regionalised tendering is making access to opportunities even harder. Smaller third sector organisations particularly are feeling the strain, feeling very alienated from these opportunities. “The event today offered practical advice and guidance on how best to win work with public sector bodies. Attendees heard what public sector buyers look for in tenders, had a procurement policy update from Value Wales, and heard the experiences of third sector organisations that have been successful and unsuccessful in winning public sector work. There was also a range of workshops available looking at key issues such as collaborating to win work, effective pitch presentation and contract management. “Public sector bodies are increasingly looking to engage with the third sector in the delivery of innovative, citizen centred services. However, many third sector organisations feel the procurement processes used by these bodies is a major barrier to them winning this work. The Wales Co-operative Centre and WCVA are working closely with both the supply and the buy side to help overcome these challenges. In October 2013, we jointly launched the Joint Bidding Guide, in partnership with the Welsh Government. The Guide, endorsed by the Minister for Finance, is a toolkit designed to help anyone involved in the bidding cycle for public contracts, whether as a buyer or a potential supplier. The Guide supports the work of the Centre’s Consortia Development Team, who work directly with organisations to help form consortia to bid for work. 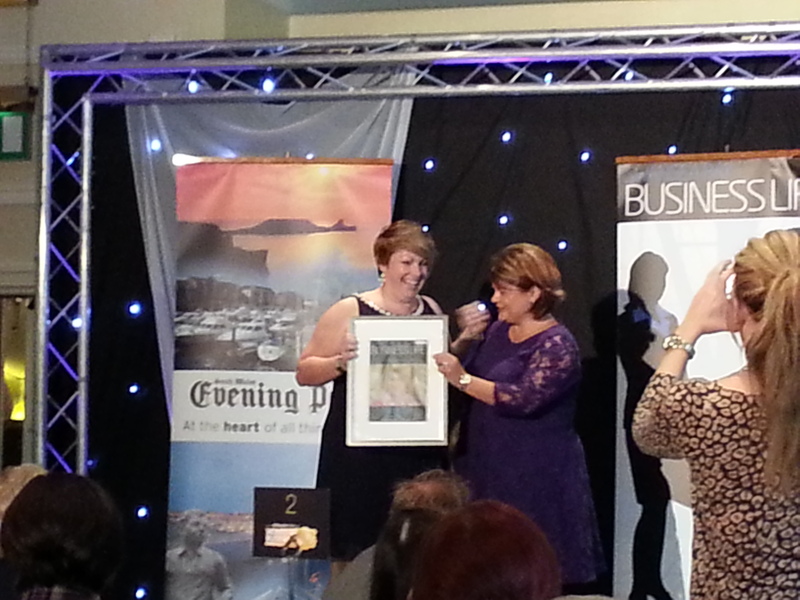 Social media and marketing expert Natalie Reynolds has won an award for innovation at today’s South Wales Evening Post Women in Business Awards 2013. 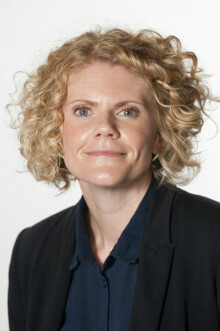 Natalie is a founding member of the marketing co-operative consortium That Useful Company which was set up last year with assistance from the Wales Co-operative Centre. The new company allowed the co-operative’s members to work together on marketing projects and contracts under the umbrella company whilst still remaining specialists in their own fields. It was Natalie’s idea to find a way of formalising several informal collaboration relationships into a consortium to be able to bid for larger contracts than they could attract as sole traders or as small businesses. Since its launch in 2012 the co-operative has expanded rapidly, necessitating two office moves and the creation of several jobs. The co-operative consortium has won a number of marketing contracts where businesses get the benefit of working with specialists across a number of marketing areas including social media, web, design and strategy. Natalie said, “ I am hoping that even more people will start thinking of working in a similar way as I believe it will help support micro-businesses in the Welsh economy”. 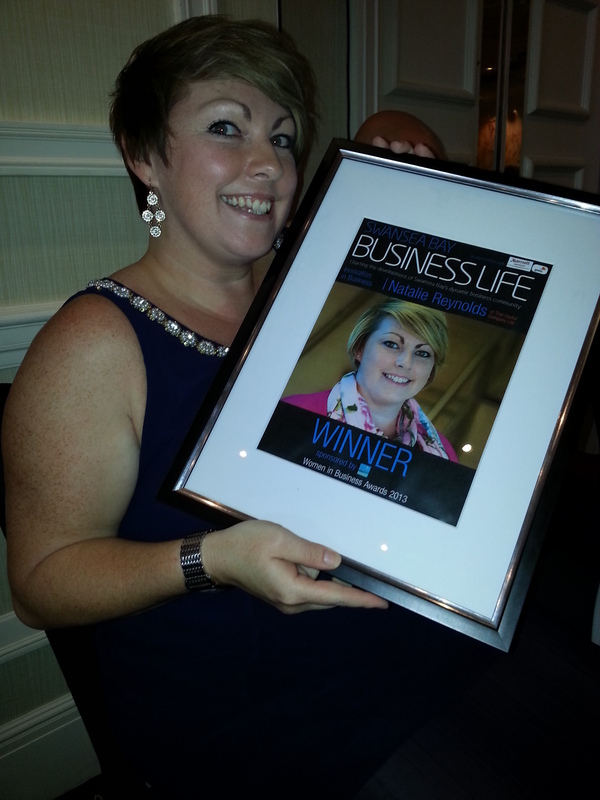 Sarah Owens who helped Natalie and the other members of the co-operative to set up the new business was delighted with the news, “This is such a well deserved award. Natalie and her colleagues have worked so hard to make this co-operative consortium a success and it is great to see them as they reap the benefits. Working together in a formal co-operative consortium is a great way of small enterprises accessing work they couldn’t access by themselves and is an approach that can work across any sector in Wales”.